Boxing Returned to Network Television – Was it a Hit or a Miss? Professional boxing made its long overdue return to network television over the weekend (Saturday, March 7th to be precise) thanks to Premier Boxing Champions and NBC Sports with two bouts featuring high profile boxers. Adrien Broner, long touted as the eventual successor to pound-for-pound kind Floyd Mayweather, stepped in first to take on John Molina in a junior welterweight fight. Closing out the night was the highly ranked welterweight contender Keith Thurman taking on grizzled veteran Robert Guerrero. The stage was set. The names on the bill were about as big as you’re going to get outside of pay-per-view events and the evening was ready for mass public viewing. After the leather had flown, blood had been spilled and winners had been announced, the only question remaining was whether the evening was a success. From the standpoint of the level of competition involved in the bouts shown, the event was a success. In Broner-Molina you had one fighter who has been highly touted for years, won world championships in various weight classes and gained a reputation as a tremendously skilled fighter from a young age. Putting him in against a powerful and unpredictable brawler like Molina, who pushed the dangerous Lucas Matthysse to the limits in their bout last year, Premier Boxing Championships aimed to recreate something similar to the electrifying bout between Broner and Marcos Maidana in December 2013. Maidana’s pressure, power and brawling style had Broner in trouble throughout, although credit where it’s due Broner fought his way back into the bout to make it an entertaining spectacle for all. In the second bout of the evening we were treated to seeing one of the fastest rising stars of the stacked welterweight division in Keith Thurman taking on the dangerous and exciting Robert Guerrero. Thurman has been touted by some as the main threat to divisional kingpins Floyd Mayweather and Manny Pacquiao, bringing speed, power and boxing ability to back up his hype. Thurman himself has struggled so far to land high-profile, legitimate contenders who were willing to face him. Enter Robert Guerrero, a man who will not shy away from a challenge. Guerrero himself had set his sights on Mayweather years ago and worked through the divisions until he managed to secure the bout he wanted. In spite of losing to Mayweather, nobody else had been able to better Guerrero for nine years. Thurman had the legitimate opponent he sought. Competition level, therefore, on paper, was high and the fights were legitimate in the standings of each fighters respective weight classes. Did the fights live up to their potential? Yes and no. 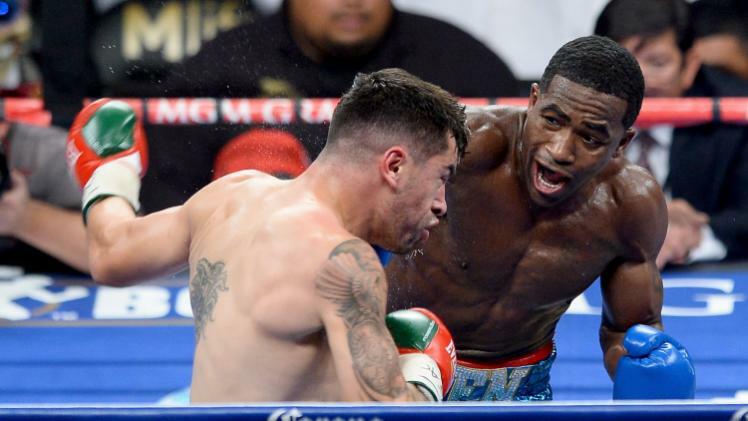 Molina proved to be overmatched in his bout with Broner as Broner for once decided that he was going to ignore the thoughts and feelings of the crowd and fight to his strengths. Broner is has fast feet, faster hands and great boxing skills. He danced in and out of range and landed almost at will throughout all 12 rounds. Other than a brief flurry in the 3rd round, in which Molina tried his best to turn the bout into a brawl, Broner stayed focused and dominated. The one-sided nature of the bout led to the no comment before, but the yes was born out of the fact that we were treated to seeing a very good fighter make a bout his own. Broner used his ring smarts, speed, power and accuracy to give himself an easy night out and put himself back into the spotlight. The only negative from Broner was that he chose to dance around all through the 12th round to secure the points win when many feel marquee fighters should always be looking to close the show. 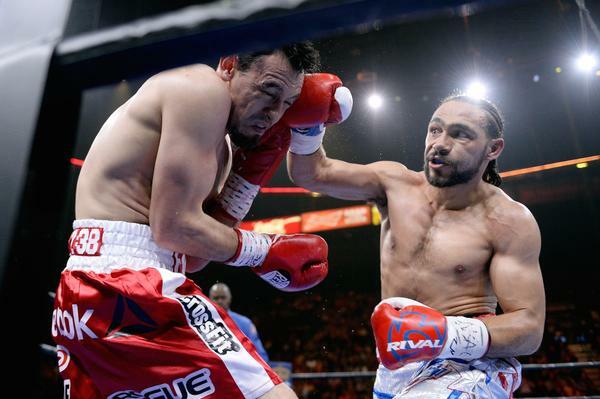 Thurman-Guerrero started slowly but turned out to be the barnstormer everyone hoped for. Both men boxed from the outside until Thurman caught Guerrero with a great shot in the second half of the fight and put the veteran on the canvas. After that Guerrero woke up and stepped up a gear, pushing Thurman hard over the final few rounds and leaving everyone watching wondering how the fight would have gone had Guerrero pushed that hard from the start. Thurman showcased his power, his ring generalship and his accuracy as he landed many hard shots throughout the bout. Guerrero was never truly out of the bout, landing counters throughout and then pressing Thurman hard at the end, giving us a glimpse at Thurman’s ability to absorb pressure and retain control. So far we have the debut of Premier Boxing Champions on NBC being a success with the matchmaking and the actual in-ring activity. On the part of the promotional company behind boxing’s return to network television we have a success on our hands. The last piece of evaluation of the evening is to look at the network who took the step toward putting boxing back on for the general public. How did NBC do? The show was tidy and neat, with all presenters and announcers being astute and ready. Laila Ali, daughter of the legendary Muhammad Ali, became the first female boxing analyst and did herself and her family name proud. NBC also brought in an American legend in Sugar Ray Leonard to be part of the commentary team. Great start, respected figures of the boxing world bringing an end to a hiatus of the sport being brought to the masses. The night started well with insightful comments from Leonard throughout the Broner-Molina fight. Bringing knowledge that can only come from somebody who has competed in the sport, Leonard helped explain why and how Broner was able to turn a dangerous fight on paper into an easy day at the office. That, unfortunately, is where the network as a whole stopped being a success. Throughout the Thurman-Guerrero bout the level of bias shown by the commentators and the evenings producer was sickening. Thurman is seen by many as the future of the welterweight division, and NBC made a point of trying to ensure that the public got as much of him as possible. Every round break was centered around either shots of the Thurman corner or highlights of shots Thurman landed during the previous round. Add into that the fact that until the last 3 rounds the words coming from the commentators would have led somebody listening but not watching the action to believe that there was only one man fighting. Without any disrespect to Thurman, who did enough to edge the majority of the opening rounds, it was far from the one-sided affair that the Broner bout was. In spite of this, there was almost no word whatsoever of any positive work put in by Guerrero in those opening rounds. As an example, in the first rounds Thurman started the faster of the two, pushing forward and landing a couple of jabs. During this spell the commentary team were saying that Thurman was swarming all over Guerrero while in truth both men were cagey from the outside and Thurman was using his reach advantage to set his range. Later in the same round, Thurman landed a hard right that was immediately countered by a left. Guerrero stood firm from Thurman’s right, but Thurman was forced to take a backward step from the counter. The NBC commentators gushed over the right Thurman landed, but said nothing of the reply from Guerrero. Later in the same round, as Thurman sprang forth looking to land a right, Guerrero countered with a short right of his own and pushed Thurman back a step or two. Again nothing from the commentators. In fact in spite of Guerrero spending the opening rounds primarily countering whenever Thurman tried to step in, Leonard chimed in sometime in the 3rd or 4th round to tell us that there were counter punch opportunities available to Guerrero because Thurman left his hands low when coming in. No praise for Guerrero having already landed several counters. The rest of the bout followed suit. Although Thurman rightly won, and would have even without the knock down, it was competitive throughout. I, for one, was disgusted by the bias shown toward the obvious favorite for the fight and when the next Premier Boxing Champions on NBC event occurs I will likely watch with the television muted.